Sterling Children's Books, 9781454910244, 32pp. Pack up the pooches and load the van. There's so much to bring. The classic song gets a fresh new twist The fun begins when Grandma and Grandpa send invitations to their far-flung, modern, and multiracial family: Come to our house for the holidays--and bring your favorite pie Off everyone goes, driving down snowy roads, riding the train, boarding a plane . . . even sailing along in a hot-air balloon. As each family faces an obstacle that delays their trip, they learn that sometimes the most old-fashioned form of transportation works best . . . NEIGH. 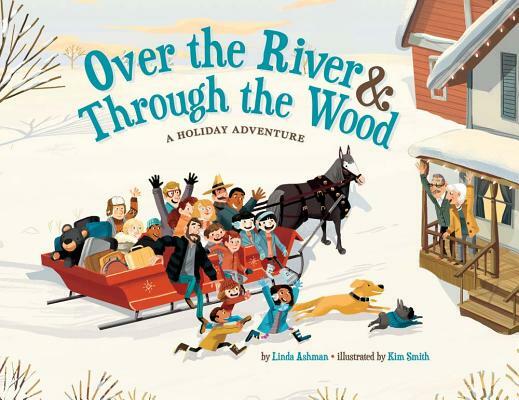 Linda Ashman has written more than 20 children's books, including Creaky Old House; Stella, Unleashed; No Dogs Allowed!, and TheTwelve Days of Christmas in Colorado (all Sterling). She lives in Chapel Hill, NC. Visit Linda online at lindaashman.com. Kim Smith has a fun and vibrant extended family, perfect as inspiration for this book. This is the fourth children's book she has illustrated, along with A Ticket Around the World (Owlkids Books), The Raven and the Loon (Inhabit Media), and The Twelve Days of Christmas in Canada (Sterling, NYP). Kim lives in Calgary, Alberta, with her husband, Eric, and their one-eyed goldfish named Goulash. Visit Kim online at tuckedaway.com.